Remember I mentioned One Women Can Beauty Contest by Mary Kay Previously? 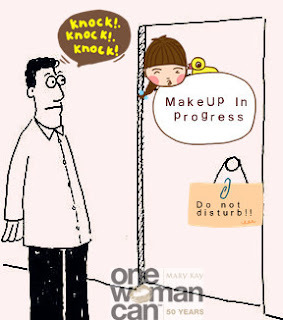 when you are putting on make-up? Yes I am going to chase him out from the room. sound funny, it is true! God first, family second, career third"
expressed her insistence that the women in her company keep their lives in good balance. I decided to bring him along to Mary Kay Makeover Session with Ms.Lily Lim last Saturday because every women desires to find her way to becoming beautiful both inside and out. From bare face to full make up. she been Mary Kay for 4 year as Beauty Consultant. Simple Philosophies from her : help women to become beautiful. There we going to starts our makeover, this is also our Mother's Outing. Freshen Formula 2 and wipe off the dirt on skin from Inside Out. Trying Mary Kay Foundation Shade & Texture. 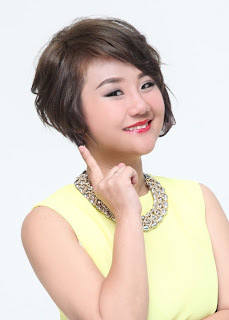 My Combination Skin goes match with Mary Kay® TimeWise Matte-Wear® Liquid Foundation, Beige 3. No-Touch Concept from Mary Kay. Lily will no touching our skin for along the Make Over Session due to hygiene purpose and it is good for us to hand-on all the way. Minimal Usage will do, plus point is the powder brush is so soft! There the reaction when Hubby catch me during make-up time! I am Done with my Face Make Up! 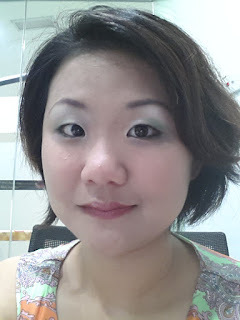 (Hubby say kind a troublesome for full make up, the basic foundation is 3 layers. Now he knows why Me need about half an hour to 45 minutes to get the make-up done! Highlight colors are applied all over your eyelid from your lash line to your brow bone. 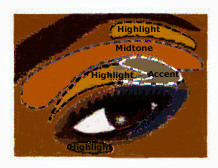 The midtone is used as a second color to enhance the eye. used your ring finger to dab on it. I used Cystalline as me midtone color. 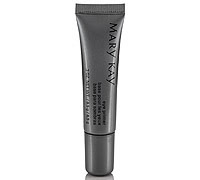 I like the eye color and it is kind pigmented with eye primer. I used lemongrass as my accent color to match my dress color. Apply eye shadow little by little. to check the intensity. Accent Color application should be from outer to inner. Eye Shadow Part is Done! then what is Missing Girl ?? Apply Eyeliner is a MUST for a Mono-Eyelid like me. Draw a line as near as your lashline and makes the curve middle of the eyeballs. But remember No More SUPER Thick and all Black Liner. Opss, I am not poking my eye, angle problem. Part 4 : Lip Make Up Am I Look Pale without Lip Color? There we go with Lip make up! Pink Parfait in the middle for a plumper lips. P/S: Don't put lipgloss all over the lips. I Like this photo the most! Lipgloss makes a big different for a plumper lips! Before and After With Mary Kay Make Over Session. Lily helps a lot on make-up technique and women life inspiration too! me to learn new make-up technique and know more about Mary Kay's. How Important is a Woman Worth! I Like My Mummy Look so Gorgeous!! I really can make up in front of him next time since he know how I do my make up! He is kind amazing to see my transformation too! Seksyen 13 ,46100 Petaling Jaya. came to check it out. I'm definitely loving the information. I'm book-marking and will be tweeting this to my followers! Awesome things here. I'm very happy to look your post. Thanks so much and I am taking a look forward to touch you. Will you kindly drop me a mail?